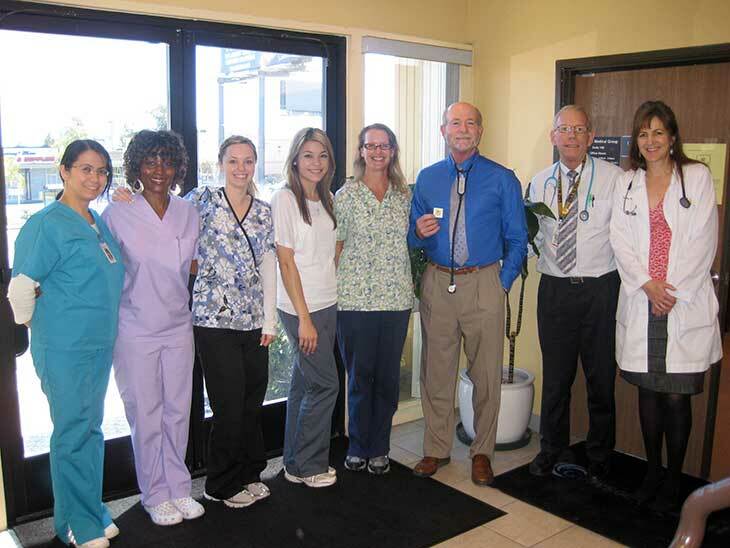 April 2010: Dr. Donald Tecca and Dr. Jeffrey Dysart proudly accept Guardian Angel pins from Sharp Memorial Hospital. We thank our patients for their generous gifts to Sharp Memorial Hospital's Guardian Angel program on behalf of our physicians. For more information on the program, visit the Guardian Angel website.